This section contains 66 images of Yosemite and areas around it. The one above is of Half Dome from Mirror Lake. This image was made in April 2000. It had snowed the day before. The cameras were 75 feet apart. I had to set the self-timer on one camera and run to the other through the snow while timing the self-timer so that I could shoot both of them at exactly the same moment so there would be no movement of the clouds. The previous ones are all black and white. 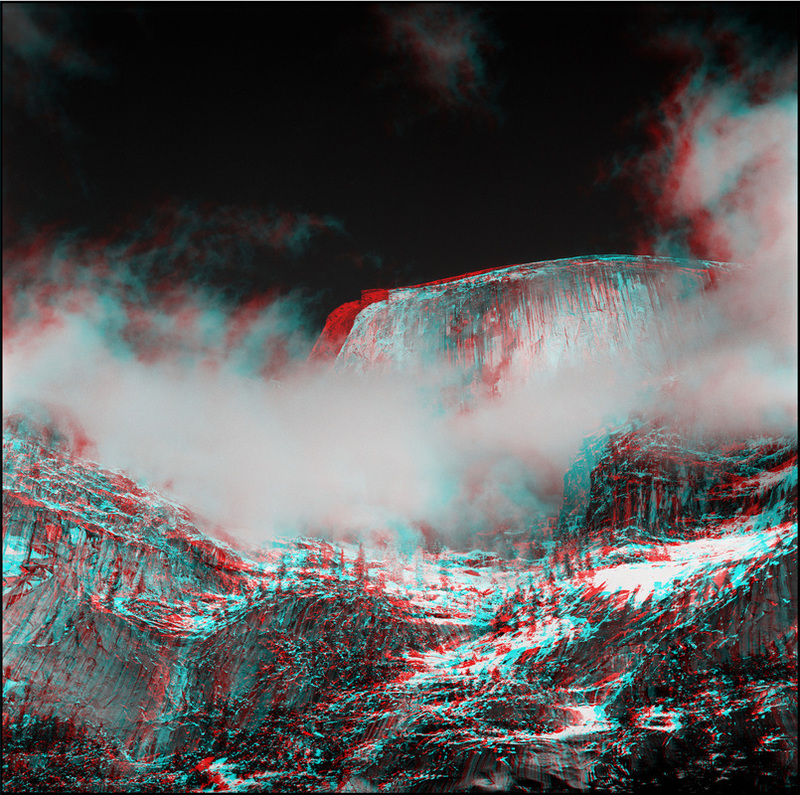 I have added 19 of them in color which you may see as parallel, cross-eyed, or anaglyph.